Populous is now the new FC Cincinnati stadium architect, a decision the club is making as it plans the upcoming facility. FC Cincinnati is currently playing home matches at the University of Cincinnati’s Nippert Stadium, giving it a facility until it completes a planned new soccer-specific stadium on the city’s West End, slated to open in 2021. Meis Architects–the firm behind facilities such as Cincinnati’s Paul Brown Stadium, home of the NFL’s Bengals–had been working with the club, and previously issued designs of the upcoming stadium. However, Populous will be leading the design work from here, as was revealed recently by FC Cincinnati. 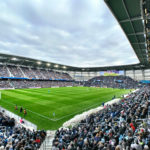 Kansas City-based Populous designed Minnesota’s Allianz Field, Washington D.C.’s Audi Field, the Orlando City Stadium and Kansas City’s Children’s Mercy Park. 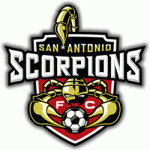 The firm has been a major player over the last decade in establishing America’s booming soccer infrastructure…. Berding stopped short of saying the original firm, New York- and Los Angeles-based Meis, was fired. He focused on completing the vision of what’s been promised by 2021. 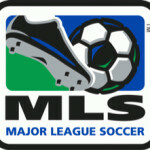 The agreement with MLS includes penalties if the stadium’s opening is delayed. 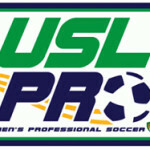 Berding pointed to elements of Populous’ stadiums that he liked: Minnesota stadium’s exterior, the L.A. Galaxy stadium’s attention to detail, the Orlando stadium’s integration into the Parramore neighborhood west of Downtown. A new series of planning documents for the stadium is due to the city on Monday, according to the Enquirer. Late last month, FC Cincinnati cleared a major hurdle when the Cincinnati City Council approved a zoning change for the stadium project, allowing the club to proceed with major construction.